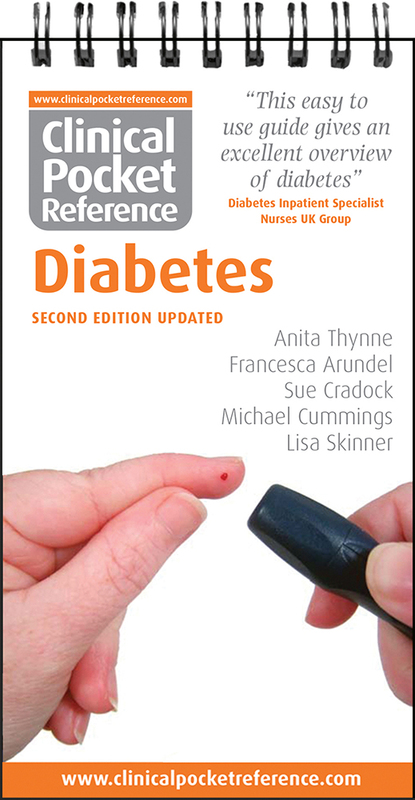 An updated version of Clinical Pocket Reference Diabetes released in January 2015. Acute and Community trusts have found this an extremely useful resource for nurse mentors and students on clinical placement. Invaluable for Practice and Community Nurses and an ideal aide-memoire for newly qualified nurses and students on clinical placement on hospital wards. Diabetes Inpatient Specialist Nurses will find this a useful tool for training sessions with other staff.